Searching for reliable Bellingham tankless water heater repair and installation services? Contact the trustworthy professionals at Eagle Plumbing & Heating at (360) 318-9999. For discounts and savings on our services, click here. A tankless water heater is a great option for providing the showers, faucets, and appliances in your home with instant hot water. A tankless water heater is a small unit that heats up water very quickly, delivering it to you as you need it, rather than pre-heating it and storing it in a large tank. As with any appliance, there are pros and cons to installing a tankless water heater. However, many homeowners prefer tankless water heaters to traditional systems. If you are interested in installing a tankless water heater in your home our team of professionals at Eagle Plumbing & Heating can answer all of your questions and address any concerns you may have. We also offer specialized repair services to ensure that your tankless system is always functioning optimally. 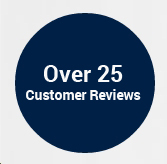 For reviews and testimonials from other customers in your area on the services we provide, click here. What are some of the benefits of tankless water heaters? ● Space saving: If you compare the size of a tankless water heater to the size of a traditional system, you will see its smaller size is definitely an advantage. Because these systems do not require a hot water tank it will open up more closet and storage space in your home. A tankless unit could even be installed under a cabinet in the bathroom, so it is closer to the shower and faucet. ● Energy efficient: One of the biggest problems with a traditional system is the amount of energy required to heat the water in your home. Additional energy is wasted if you do not quickly utilize all the heated water in the tank of a traditional unit. A tankless water heater is far more efficient, helping you to save money on your monthly utility bills. The use of a gas powered tankless system will further decrease your energy costs. You can even receive a government rebate or tax credit when you install a tankless water heater in your home. ● Endless hot water supply: If you have you ever taken a shower right after another person only to find that there is no hot water left, a tankless water heater can ensure that this will never happen again. Tankless systems provide an endless supply of hot water to all the fixtures in your home. ● Quick return: With a tankless system, hot water will instantly be distributed to every area of your home. While a traditional water heater lasts an average of 10 years, a tankless unit can last up to 20 years or longer. If you compare tankless water heaters that use gas with those that are electric, the gas units will usually last a bit longer. Whichever type of system you choose, proper maintenance and timely repairs will always ensure a longer lifespan. What types of homes will benefit from this system? Tankless water heaters work great in modest homes with smaller families. These systems are also a nice addition to larger homes. However, with larger properties, you may want to have a second unit installed to ensure a quicker return of hot water to all the rooms in your residence. Additionally, you may need larger gas lines or new electric circuits installed in order to have enough gas or energy to guarantee that your system or systems are performing their job properly. Whether you choose a traditional water heater or a tankless system, our knowledgeable professionals will discuss your options, helping you to decide on what unit will work best for your home, budget, and the specific needs of you and your family. For expert water heater services in Bellingham and the surrounding areas, get in touch with the skilled professionals at Eagle Plumbing & Heating. Call us anytime at (360) 318-9999.